This morning we awoke to joyous news. 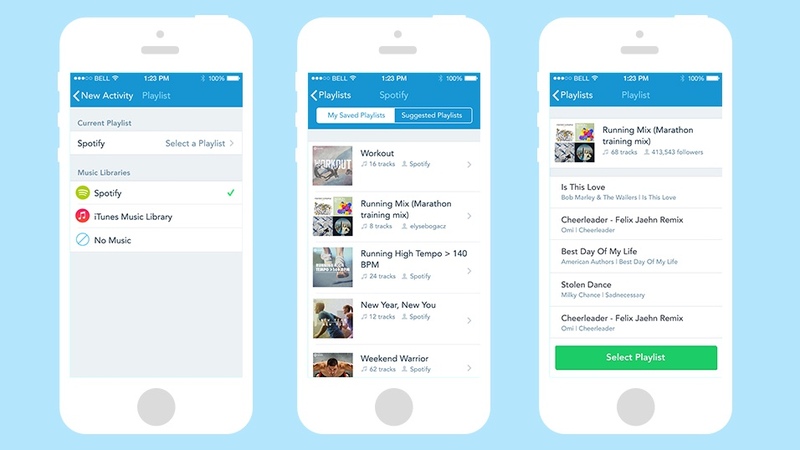 Running app RunKeeper has added proper Spotify integration in its latest update. It’s been a long time coming, and we’ve found ourselves screaming from the rooftops, after switching playlists mid-run to find that Runkeeper has crashed on returning to the app, or having to take extended breaks to juggle the two. The new integration means that users will be able to select playlists from within RunKeeper to run, cycle or walk with. It’s a neat integration, but yet we still feel there’s so much more RunKeeper could have done. There’s no power song feature, like Nike+ Running used to enjoy, so you can't get a mid-exercise boost at the push of a button, and nor is there a way to choose tracks with a steady BPM, to help you maintain pace and a decent cadence while running. To us, these seem like fitness no-brainers, and we’re not sure why someone’s not taking the mantle to provide them. Hopefully, this is the first step to a better music experience while running, and we look forward to a point where Spotify is integrated into running watches or smartwatches, so we can finally leave our phone at home altogether.